China’s claims in leading the clean energy drive have been put on the back-burner recently as they look to start production of synthetic natural gas plants, which are reported to produce more than 7x the emissions than that of natural gas. In addition, the water usage for these as shale gas production would be 100x of its cleaner alternative. So far, around 9 plants have been signed off which are set to produce around 37 billion cubic meters of natural gas per year. Private companies are also looking to jump on board, with a reported 30 more plants scheduled for construction. 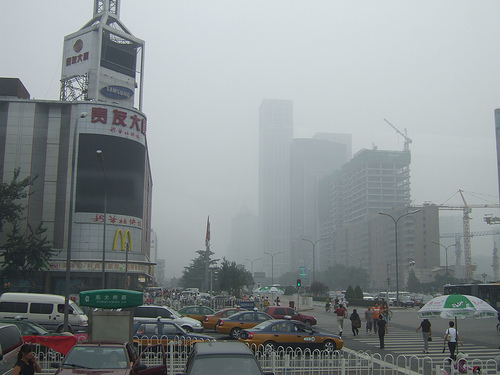 Chi-Jen Yang, author of Duke University’s “Nature Climate Change” paper, states that the additional carbon dioxide pollution from these plants by themselves would negate the entire recent investment into wind a solar power made by the Chinese government. A new paper published recently also mentioned that analysis of this synthetic plant showed that total greenhouse emissions from a life-cycle of one vehicle would be twice that than a gasoline powered vehicle.